This is the first comprehensive, up-to-date monograph on the behaviour, biology, ecology, biogeography and natural history of the most ornate and dramatic group of birds on earth. Following the other volumes in the series the illustrations are first-rate. The 15 colour plates, by the artist William Cooper, depict all 42 species, while the line drawings illustrate many behavioural traits never before recorded. This is the first field guide to cover the entire New Guinea region, comprising Indonesian West Papua (including the West Papuan Islands, Geelvink Bay Islands and Aru Islands) and Papua New Guinea and its associated islands, the Bismarcks and Bougainville. New Guinea is the second largest island in the world and many of its ecosystems are as yet relatively intact. There are 7 endemic families, and the region is the major centre of diversity for pigeons and doves, kingfishers, parrots, honeyeaters and birds of paradise, with an astonishing diversity and morphological variation and including some of the most sought-after species in the world. The author has over 25 years experience in the region, living there for some 7 years and travelling widely on birding and research trips, which has given him valuable experience and insight into the avifauna that he has shared with hundreds of people over the years. The artists from Lynx Edicions have worked on many new and revised plates, which give an excellent visual coverage of the avifauna, with over 1780 illustrations. The taxonomy is up-to-date and the distribution maps have been carefully prepared and revised, whilst field identification and vocalizations are a major interest and should make this book an essential and compact reference companion to anyone birding in the region. Covers 943 species, 456 endemics, 5 introduced species, 75 vagrants and 2 undescribed species. This easy-to-use identification guide to the 280 bird species most commonly seen in Malaysia (including the state of Sabah and Sarawak on the island of Borneo) is perfect for resident and visitor alike. High quality photographs from some of Malaysias top nature photographers are accompanied by detailed species descriptions, which include nomenclature, length, plumage, distribution, habits and habitat. The user-friendly introduction covers climate, vegetation, biogeography, opportunities for naturalists and the main sites for viewing the listed species. 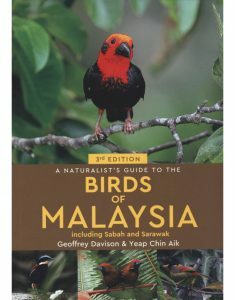 Also included is an all-important checklist of all of the birds of Malaysia encompassing, for each species, its common and scientific names as well as Malay names, its status in each state as well as its global status. Artist/Author: Pratt, Thane K. and Bruce M. Beehler. 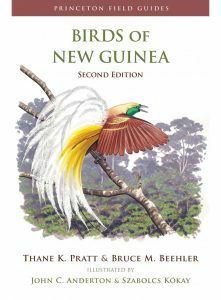 This is the long awaited completely revised edition of the field guide to the birds of New Guinea. The world’s largest tropical island, New Guinea boasts a spectacular avifauna characterized by cassowaries, megapodes, pigeons, parrots, cuckoos, kingfishers, and owlet-nightjars, as well as an exceptionally diverse assemblage of songbirds such as the iconic birds of paradise and bowerbirds. New Guinea is on the bucket list of all serious birdwatchers. This field guide is the only such book to cover all 780 recorded bird species, with updated species accounts and new information about identification, voice, habits, and range. A must-have for everyone from Eco tourists to field researchers, Birds of New Guinea will be the indispensable guide for the diverse birds of this remarkable region. 780 bird species, including 366 endemics. 111 stunning colour plates, twice the number of the first edition. Expanded and updated species accounts provide details on identification, voice, habits, and range 635 range maps. Revised classification based on the latest research. AUTHORS: Thane K. Pratt is wildlife biologist emeritus at the U.S. Geological Survey’s Pacific Island Ecosystems Research Center and a conservationist of birds of the tropical Pacific. He is the lead editor of Conservation Biology of Hawaiian Forest Birds. Bruce M. Beehler is an ornithologist in the Division of Birds at the Smithsonian National Museum of Natural History and a tropical ecologist with interests in the birds and rainforests of the Asia-Pacific region. He is the author of Lost Worlds: Adventures in the Tropical Rainforest. ARTISTS: John Anderton illustrated Birds of south Asia (first published 2005). Hungarian artist Szabolcs Kókay is a talented natural history and bird book illustrator with ten European titles to his name. 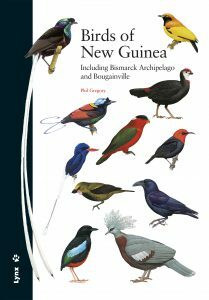 He has bird watched extensively in New Guinea to research the illustrations for this book. 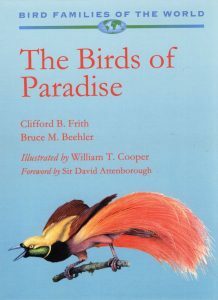 This book describes and illustrates the birds of the North Solomons Province of Papua New Guinea. Highlights include 199 colour photographs and 25 paintings illustrating 142 species, some birds and plumages for the first time, including all of the region’s endemic and near-endemic birds. Accounts of all 188 species reliably recorded in the region up to July 2004, provide plumage descriptions and information on voice, habitat, habits, status and distribution. 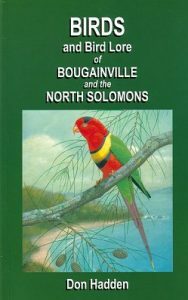 Also includes a checklist of the birds of the North Solomons, comprising lists for Bougainville and other islands.